I am competing in the Boston Mayor’s Cup 5K race next Sunday, October 23rd in honor of Greenfox Schools. It would feel wonderful if you can consider making a donation. I feel warm and sparkly inside when I am doing work that helps people. It feels good to put my time and energy into something that is bigger than myself, and that is for children and the future of our planet. Sustainability feels important to me because our global population is almost at 7 billion people, and this number will grow to 9.1 billion people by 2050. Greenfox Schools has grown from an idea into a full-fledged non-profit comprised of staff and volunteers. We have a small office in Cambridge, MA, and we partner with schools in Cambridge and Boston to provide after-school programs, curriculum, and clubs that teach youth about environmental sustainability through science, technology, engineering and math in a fun, hands-on way. There is a fast-growing demand for our services, but we need to raise the money to hire and pay our staff so that we can expand.Please help us by considering to make a donation. Each contribution is incredibly meaningful. 100% of your donation is tax deductible. As you may know, I’m a board member for a great 501c3 non profit organization called Greenfox Schools, that partners with schools in the greater Boston area to provide sustainability education & environmental programs for youth. It would be wonderful if you would consider making a donation in honor of our organization, as our fellow board member Kristen von Hoffmann competes in the upcoming Boston Mayor’s Cup. This cause matters to me because it is all about sustainability and how to make real changes in our daily habits. Greenfox Schools has grown from an idea into a full-fledged non-profit comprised of staff and volunteers. We have a small office in Cambridge, MA, and we partner with schools in Cambridge and Boston to provide after-school programs, curriculum, and clubs that teach youth about environmental sustainability through science, technology, engineering and math in a fun, hands-on way. There is a fast-growing demand for our services, but we need to raise the money to hire and pay our staff so that we can expand. Please help us by considering to make a donation. It’s time: With summer officially over it’s time to start thinking about the lawn and garden tools that you’ll be needing for the fall. On our website we have a variety of products that will make your life a lot less hectic when the leaves start falling and the kids are heading back to school! Two of our favorite fall tools are the push sweeper and the folding carts. 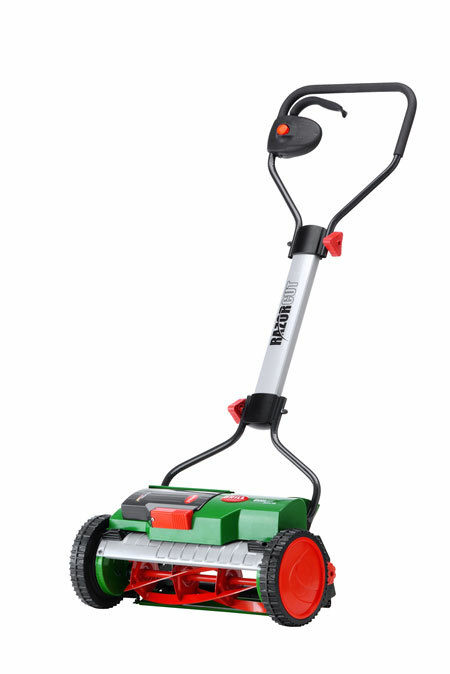 Push Lawn Sweeper: Hate raking leaves? Then the push lawn sweeper is for you. This sweeper picks up leaves ten times faster than normal raking and puts zero strain on the back. Not only will it rid your lawn of leaves quickly but the sweeper folds away, making it easy to store. The push lawn sweeper has been newly designed for 2010. LG Bagz-It Folding Cart: This multi-purpose folding cart is perfect for any outdoor tasks year round but especially for fall season raking! The folding cart is perfect for transporting heavy loads and comes in 3 different sizes (residential, commercial, and mini). 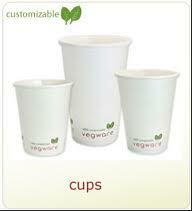 Each size can be used with or without a leaf bag and is made from tear resistant material. 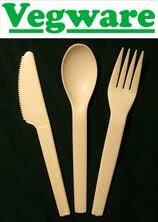 New Cutlery: Here at Vegware US we have been slowly replacing all of our biodegradable products with superior compostable ones. We believe in what we do and because of that we feel we must do it to the best of our ability. Supplying our customers with the best and most advanced products technology has to offer. We do this by creating products with a full life cycle that is both traceable and renewable from start to finish. 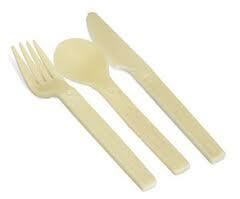 That is why we are introducing our new compostable CPLA Cutlery as a replacement for our previous biodegradable PSM. 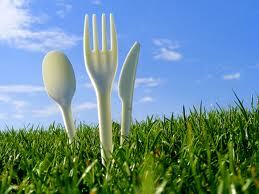 New Compostable CPLA Cutlery: These products have very different chemical properties but carry near identical physical properties as our previous line but with added rigidity and usability. This new fully compostable line of cutlery pushes the boundaries of “green” products even further and brings you the best in what’s available today. Being so close to Philadelphia, I can’t help but oftentimes think of one of my favorite Philadelphians, Benjamin Franklin, who said “We must all hang together, or assuredly we shall all hang separately.” Was he referring to the laundry? Nah, but he could have been. Wouldn’t it be nice if we could all hang together? If wherever you lived, you were able to hang your wash on lines in your backyard and let the natural energy of the sun and breeze dry it? This was a topic that arose many times during the past few months. Breeze Dryer visited two terrific fests in September…the PA Renewable Energy Festival in Kutztown and the Mother Earth News Fair in Seven Springs, PA. Both were incredibly informative; we met so many terrific people, all interested in speaking about the importance of saving energy. Line-drying is such an easy way to do it, but it doesn’t seem to be an option for some. Hills Rotary Clotheslines, Folding Frames, Extenda Clotheslines, and the Portable Clotheslines are perfect options for saving energy by drying outdoors. The removability of the clotheslines, their small footprint, and the fact that they don’t have to be a permanent feature in the yard, make them a good choice if you live in a neighborhood that would usually frown on clothesline use. If you live in an apartment or home with a small backyard, Hills makes Drying Racks that are unique in the fact that not only are they durable and built to last, but they fold flat enough to store next to the washer, in a closet, or travel with you in a motorhome to use when and where you need…the options are endless. You may be able to get one for less at a big retailer, but most likely they’re not going to last more than a year or two, and they won’t be strong enough to hold jeans, sweaters, towels, etc. Not so for our racks. The drying racks have become so popular, that we now offer a 2-pack of some styles, the Expanding Indoor Clothesline, the 3-Tier Rack, and the Indoor Clothesline. Also, check out our Portable 120, the smaller version of our Portable Clothesline, which is on sale in the 2-pack option. This is the perfect option for those who want to do indoor drying some of the time and then outdoor drying the rest. The legs fold up and under the unit and it can be stored flat, hanging on the back of a door (door hanger included). Hope you enjoy the beautiful days of Fall! Though not a clothesline designed to be permanently outdoors, the3-Tier Drying Rack is perfect on the deck on a beautiful day. Shown holding a family’s collection of wet beach towels and more. Use the coupon code “Fall4U” at peoplepoweredmachines.com to receive 10% off orders during the month of October 2011. Sorry, this offer is only valid on new orders and cannot be applied to orders placed previously.